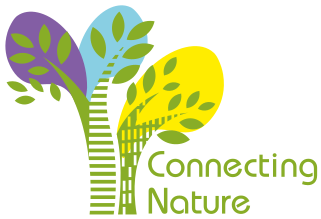 During the Summer, Marino Cavallo from Connecting Nature’s Italian partner the Metropolitan City of Bologna took Siobhan and I to see some of the nature based projects Bologna has earmarked for investment in Connecting Nature. Our first stop on this whistle stop tour was the Villa Ghigi Urban Park; a collaboration between the City and the University of Bologna used to promote health and well-being within the city and to educate its citizens about their regional landscape. The park is set in the mountains on the outskirts of the city and offers stunning views over Bologna. Comprising hills, wild terrain, trees, shrubs and blooms it serves as a nature reserve to natural fauna that grows there. Outbuildings have been converted for use as an education centre and in the children’s classroom nature themed murals and paintings decorate the walls. Library books are all based on nature and kids are taught how nature and the environment fitinto their lives. Villa Ghigi is an oasis in Bologna with it’s wonderful smells and sights! Our next stop took us to Giardini Margherita where we visited the Le Serre project. This beautiful space has been regenerated from abandoned municipal greenhouses into a local community space that provides a co-working area, an educational childcare facility, a community garden and Vetro restaurant. For lunch in Vetro we sampled wonderful food from the organic and sustainably sourced menu. Vegetables come from the community garden which is run by local volunteers. We also visited the co-working space which supports sustainable community incubator projects, facilitates interaction between different local communities and aims to respond to social needs. After lunch, we headed to CAAB – the Agri-Food Centre of Bologna, one of the largest wholesalers of fruit and vegetable in Europe where the market area is an impressive 400 metres long and provides efficient high-speed turnaround of the fresh food delivered daily. It is self-sufficient in energy which is generated by their solar roof system. CAAB works with the local health authority to provide education on healthy eating to hundreds of students in Bologna. CAAB has expanded its remit and is a partner in the FICO World Eataly Project due to open in November. FICO will have 2 hectares of open-air fields and stables; 6 hectares of marketplaces, shops, restaurants, classrooms and other services. Here visitors will be able to walk or cycle round the “Disneyland” of food and learn, eat, explore, and shop for Italy’s best produce all under one roof! Our final stop was the 700m long Virgolone apartment block in Pilastro. Allotments for each of the 420 apartments housed in this huge concrete building have been created to provide much needed recreational green space. Designed and run as a cooperative, initially for the older residents, all age groups now use the space where they grow their own produce and share any excess harvest with each other. We met Antonello in his allotment, as he proudly showed us his aromatic basil and juicy tomatoes. The garden cooperative provides an important social integration role between the many ethnic groups living there and is a meeting place for people of all ages!